The mission of the TRIP Initiative is to foster an enthusiasm for science by offering students a chance to do hypothesis-driven research and hands-on learning in a lab. The TRIP Initiative is a comprehensive science research training program for high school students interested in scientific careers. Beyond the lab, students also receive one-on-one mentoring with Fox Chase faculty; they learn team building and leadership skills and become part of a family of driven and curious students. Twice per calendar year, TRIP has an open call for applications. In the Winter/Spring, TRIP has a home at William Tennent High School in Warminster. Students generally apply in October for a course that runs on consecutive Saturdays from late February through mid-May. During the summer, TRIP is taught at Temple University in Philadelphia on Tuesdays and Thursdays. The call for applications launches in early March, while the course begins after July 4th and concludes in mid-August. Every teen interested in science should have the chance to participate in a program that fosters their passion. However, most educational or summer programs cost thousands of dollars for only a week or two of study. TRIP wants to change that. This program is provided with funding by the Fox Chase Cancer Center to build opportunities for students who may not get them anywhere else. Dr. Amanda Purdy is a research scientist, educator and administrator passionate for fostering an enthusiasm for science and scientific discovery in the community and with learners of all ages. She serves as the Director of Academic Affairs at Fox Chase Cancer Center where she manages education and research training programs for high school students on up to medical students and postdoctoral fellows. Since 2014, she has trained more than 118 high school students in the TRIP program and hopes to expand her programs to reach more learners. 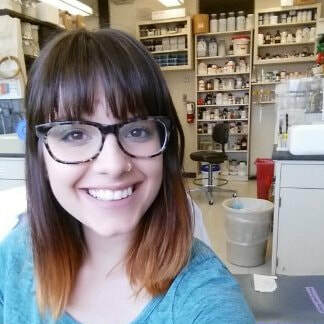 Dr. Alyssa Leystra is a postdoctoral fellow in Dr. Margie Clapper’s lab at Fox Chase Cancer Center, where she applies her training in biochemistry, microbiology, and cancer biology to study the early events in colorectal tumorigenesis. She is passionate about research and mentoring, and is excited to continue her work with the TRIP team this year. Dr. Jaye Gardiner is originally a Chicago native and received her PhD in Cancer Biology from the University of Wisconsin-Madison in 2017. Her PhD work focused on understanding HIV and its specific form of spread called cell-to-cell transmission. Journeying to the east coast, she is now a postdoctoral researcher at the Fox Chase Cancer Center, where she researches pancreatic cancer and the contributions of the microenvironment to tumor growth. In her spare time, she creates science comics with JKX Comics, the comic coalition she co-founded as a graduate student (jkxcomics.com). Ms. Trinity Pellegrin joined the TRIP family during the summer of 2016 as a teaching assistant. Since then, Ms. P (as she's affectionately known), completed her masters in secondary education at Temple University and moved from her job as a Scientific Technician at Fox Chase Cancer Center to a High School Teacher at Mastery Charter School - Pickett. Since receiving her Ph.D. from Fox Chase Cancer Center in 2018, Dr. Wagner moved to Memphis, Tennessee to continue her research training at St. Jude's Children's Research Hospital. We wish you good luck with this next step of your career Jess! Dr. Shawn Fahl joined TRIP during its inaugural year at Ursinus College and Temple University in 2015. 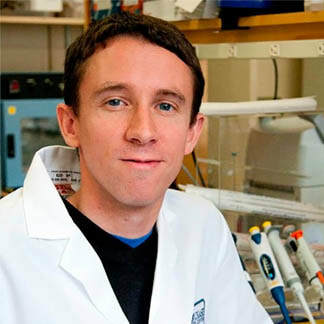 He's a immunologist with expertise in cellular biology, molecular biology, genetics, and genomics. In 2017, Dr. Fahl left Academia to pursue a career in biotech. 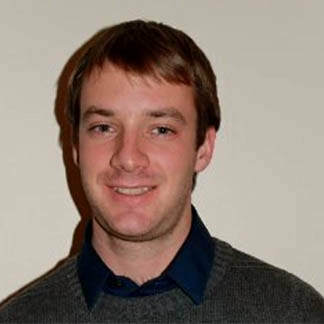 Currently he is a Senior Research Associate at Conversant Bio in Huntsville, Alabama. Dr. John Krais was also a pioneer, joining TRIP for its inaugural year at William Tennent High School during the Winter/Spring of 2016. Currently a postdoctoral fellow at Fox Chase Cancer Center, Dr. Krais' research focuses on developing therapeutic strategies to target cancer cells with existing defects in DNA repair.